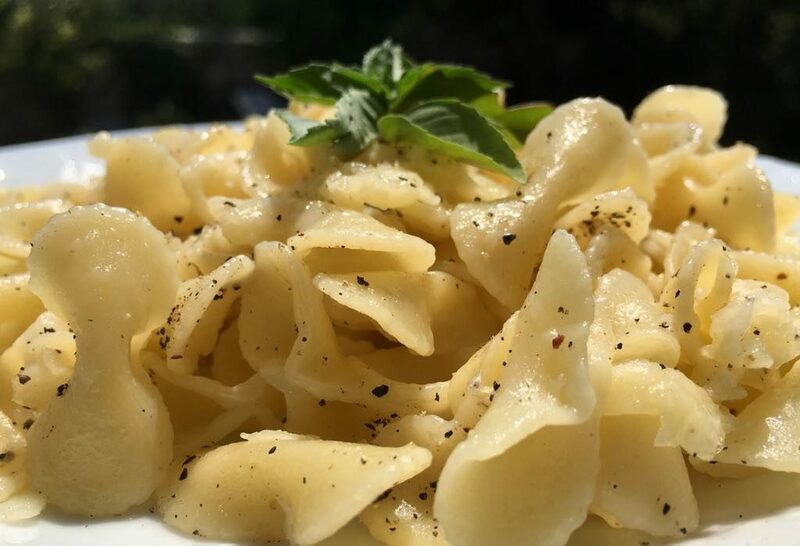 Often when I am invited for dinner to a Turkish home the spread will include a very simple bow tie pasta dish which is extremely delicious. It is super easy to make and can be eaten alone or it can accompany other fare. There really isn’t a lot to say about this pasta dish. If you like cheese and you like butter then you are more than half way there! Sometimes the beauty really is in the simplicity. I have to say that often the Turks just hit the nail on the head and they certainly have with this one. Their cuisine follows some pretty cool rules. Generally it is easy to create, does not mix lots of flavours together and requires fresh produce. It’s no more difficult than that. I hope you will try this dish. It does take four times longer than 2 minute noodles but there is a vast chasm between the two. I will definitely give that a go. Just adore walnuts and it sounds like a great idea. Thank you Angela.